Everyone likes a program to follow. Sometimes these programs get a little overly complicated. And this is especially true when it comes to following plans for how we run our businesses and lives. Steve has his own Instagram channel as The Mentor Monk (no, he’s not an actual monk), where he combines Daoist thought with business and life coaching — sort of what he actually does in his work. 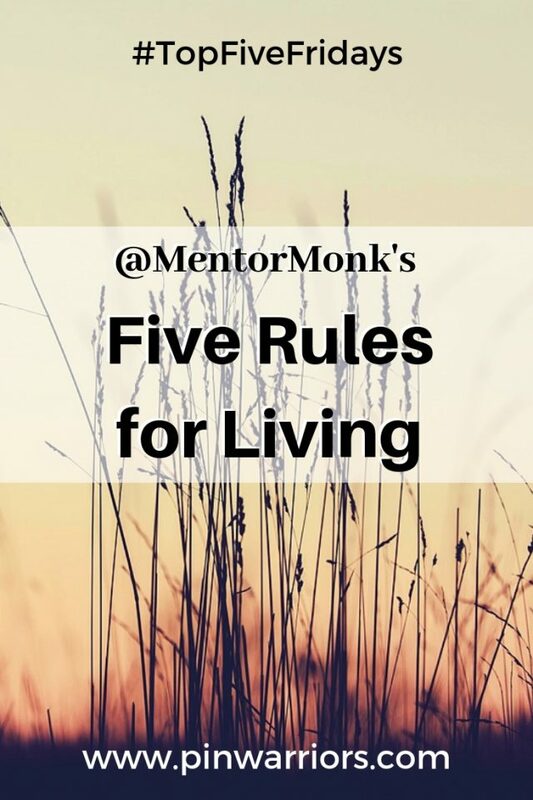 Today’s #TopFiveFridays post is all about his five rules for ethical living. They’re simple, direct, and will probably cover most situations. We hope you enjoy them! 1 Do as much good and as little harm as possible. There’s this thinking in our modern world that “good” is a spectrum, and that morality is absolute. In reality, we know that there are situations when the purely ethical choice might not actually be the right one. Black and white thinking seldom gets us, or those around us, the best results. In weighing decisions, consider this: morality and ethics are all about harm. The idea that we have a judgment waiting in some afterlife, or even in this life, is only meant to incentivize the degree of harm we can get away with. If your desire is to be a good person, it’s not really all that difficult: just do as little harm as possible. And while you’re at it, take measures to do as much good as possible. If you do this, making kindness your central objective before any sort of judgment or legalism, you won’t have to worry about your reputation or the damage you do to others. You’ll come out as a nice person. And that’s never a bad thing to be. 2 Believe as many true things and as few false things as possible. The internet and social media have given people the impression that all opinions are equally valid, whether they have any support or not. As a result, the loudest voices are often the ones people follow, whether there’s any validity to their claims or not. Celebrity is not authority. Volume is not emphasis on fact. And popularity is not evidence. Remember, neither the number of people who believe a thing, nor how strongly they believe it, nor how loudly they proclaim it, has any bearing on its truth. Extraordinary claims require extraordinary evidence. 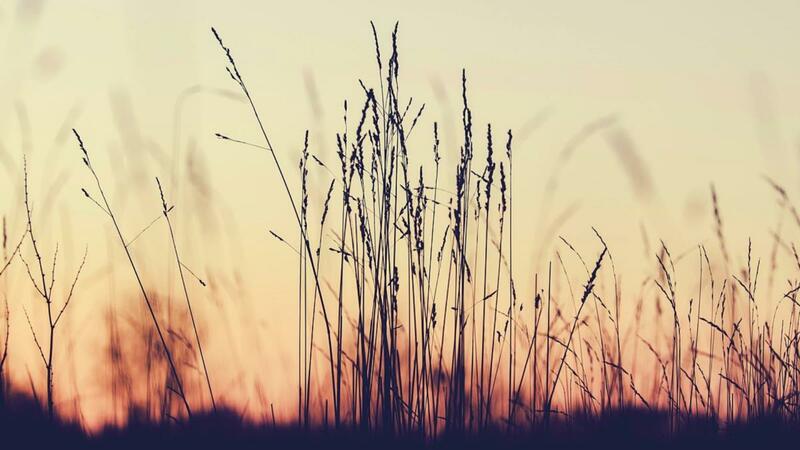 The only way to truly come to grips with the world around us — whether in nature, politics, or even acts of kindness — is to detach from the noise and falsehood, and hold close to an understanding of truth. Extraordinary claims require extraordinary evidence, but even small falsehoods can cause damage. Learn to still your ego. Detach yourself from what you know, and what you think you know. Understand how to identify falsehood, fallacies, and lack of evidence, and only come to accept truths that are properly supported. This is the path to learning true things, and the root of rational thinking. 3 If you find someone to love, do what you can to improve their life and make them happy. Too often when we find love, we try to get everything we can out of it. This is wrong; and backwards. So, too, is the idea of relationships being 50/50. If you truly want the relationship to work it has to be 100/100, with both partners giving their all. We see it frequently when a relationship ends. One party has a broken heart, and seeks to fill it with new love before they’ve healed themselves. The better action is to not look for love, but to take stock of where you can grow as a person. Get your life in order to where it’s just amazing, then invite someone in to share it. You don’t need someone else to complete you, because that is taking energy from them. Instead, grow to where you are abundant, and share your abundance outward. This is the real key to happiness in relationships. Your only goal should be improving the lives of those you love. You do this by ensuring your own fulfillment, then letting your cup overflow. Set that course, and you’ll find kindness and truth are easy to come by as well. 4 Do as little damage to the world as is necessary for your survival and basic comfort. We can argue endlessly about whether human activity is causing climate change, or whether the convenience of now is more important than sustainability. But none of that matters. All that matters is that the world around us is cared for, because it’s where we live. You don’t pile up plastic bottles in your living room. You don’t bury your flower bed in cigarette butts. You don’t decimate bird species in your backyard. What sort of arrogant mind thinks it’s OK to do this in someone else’s home, flower bed, or backyard? Humans actually need a few things: clean water, clean air, clean food, clean clothes, and somewhere to live. That’s not really asking all that much. Curiously, that much is available to everyone, and we can do it without wiping out forests or causing wars and famine. We choose not to. In your decisions as a human who consumes, be conscious of what you actually need and take measures to ensure you’re doing as little damage as possible. It’s not a political or social issue at all. It’s just common sense. 5 This is your only shot at life. Make it count. For the longest time, “YOLO” was the anthem of reckless youth. The pitch was simple: you only live once. The idea is simple: live it up, party, and have as much fun as you can. In reality, “you only live once” means this is your only shot at life. Yes, there are some who believe in reincarnation, or an afterlife, or some form of existence beyond where we are now. But we have no way of knowing which, if any, of those hypotheses is true. The only thing we know for certain is that we’re here right now. And none of those philosophies suggest you should do whatever you want because you get another chance. They ALL want us to be good people so we can be rewarded with a great afterlife. Why worry about an afterlife at all then? If you ascribe to one of these beliefs (or are keeping your options open), you ought to be making this life count in your good works, adherence to truth, reverence for love, and stewardship of the earth anyway. And if you don’t ascribe to any of these beliefs, then you at least know your legacy will be recorded in your good works, adherence to truth, reverence for love, and stewardship of the earth. So let’s assume this is the one chance you have to make the world better for your having been here. Don’t waste time and energy on petty things. Don’t waste time and energy on turing people to your beliefs. This is your only shot at life. Follow @MentorMonk on Instagram [Since this post was published, Steve’s account was hacked and locked out. We’re not sure why, but we’ll keep you posted. What do you think of these rules for living? Let us know in the comments below, and feel free to share yours too!